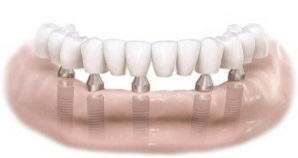 Dental implants are currently the most exciting and evolving field of dentistry. In the past, the loss of a tooth generally led to some sort of a prosthetic replacement, generally for a few teeth this could be a dental “bridge” and later following the loss of more teeth, a removable appliance (denture). With the latest advancements in dentistry, a dental implant has the ability to restore teeth to sound form and function as that of a natural tooth. 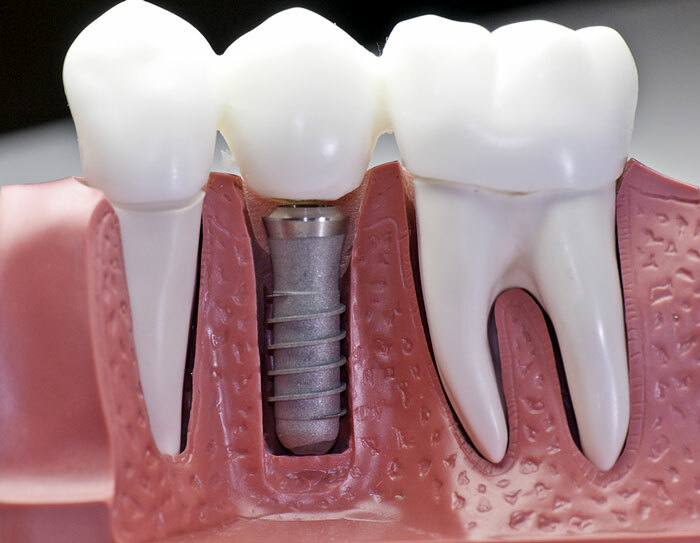 Through the use of a surgical placement of a dental implant into the bone and later restoring that tooth with a custom fabricated crown, bridge or denture, patients are able to have a fixed restorative option that is highly effective. The placement of an implant can help preserve the bone in the location where you otherwise would be missing a tooth. Implants can also help retain your natural face shape and smile when pulling teeth can result in a sunken and sad looking face. Dental implants are a long-term solution, that can last a lifetime when properly placed, maintained, and cared for over time. Teeth are like dominoes. If you just pull one, all of the neighboring teeth over time will be affected. 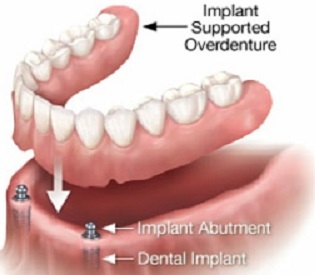 Implants are the best option for most healthy patients who have to have a tooth or teeth pulled. Implants are restored with implant supported crowns, bridges or dentures providing patients with the next best thing to natural teeth. You don’t have to worry about implant supported teeth loosening or falling out when talking, eating or laughing. You can go about enjoying life as if they are your own. Good oral hygiene including brushing, flossing and regular dental visits help maintain your smile with confidence. Dr. Meinbach works with highly regarded surgeons with the latest technology in the area to ensure the best possible result. Dr. Meinbach is available for complimentary consultation if you are considering implant restorations, teeth-in-a-day or how to find the right restorative option to best suit your lifestyle and needs. Dental implants are changing the way people live! Let Dr. Meinbach help you rediscover the comfort and confidence to eat, speak, laugh and enjoy life. After all, everyone deserves a perfect smile. 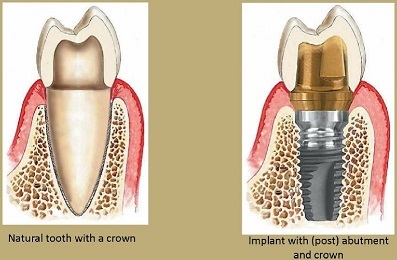 Implants consist of tiny titanium posts which are placed into the jawbone where teeth are missing. The bone bonds with the titanium, creating a strong foundation for artificial teeth. Before teeth implants, there were no fixed solutions available for people who lost all their teeth. Today, we can replace a full jaw with dental implants and a fixed bridge that results in a permanent, stable and highly aesthetic solution. Dental implants are the most permanent solution to missing teeth and even better, there’s no need to destroy your good, healthy tooth structure. The benefits of teeth implants go beyond the aesthetic — they can also help prevent bone deterioration and preserve your facial structure. And the professional team at M Dental makes the implant process easy.